Denterlein’s digital production/in-house video team has grown accustomed to shooting and editing videos on a budget that match the quality of a big-budget efforts. We asked the team for their tricks and tips. Quickly and spontaneously capture beautiful footage with up to 4k resolution with your smart phone. To capture the perfect footage, make sure you hold your phone horizontal – not upright – with a steady hand. Horizontal, or landscape, footage translates well to computer monitors and TV screens. To ensure you’re holding the camera steady, hold the phone with both hands and lock your elbows into your body for extra support. If you need to move, pivot on your feet and rotate your entire upper body, not just the camera. It can be difficult to diffuse studio lights to cast the right lighting and shadow for your shoot—not to mention they’re extremely heavy to lug around. Luckily, natural lighting can be a cheap substitute for studio lights, in the right environment. When using natural light, be sure to position yourself at an angle that lights the entire scene and avoids dark shadows across the frame. Don’t be afraid to change your position to keep the subject well-lit. Lastly, be mindful of the change in weather during long video shoots. Did you forget about Windows’ Movie Maker or Apple’s iMovie? They’re free with your computer and easy to use. But if you’re looking for more advanced programs, try the free trial of our Denterlein favorites: Premiere Pro and After Effects – both are part of the Adobe Creative Cloud. 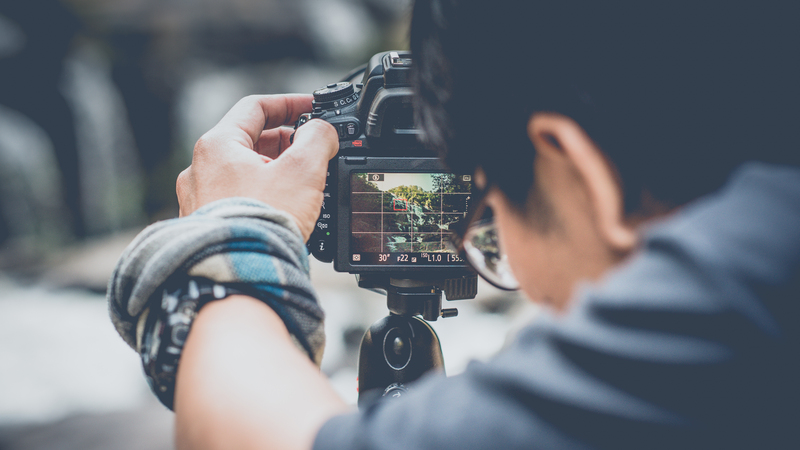 If you are hoping to bring video capabilities to your next project, consider some of these insights to maximize your video budget. And if you need proof that quality videos can be made for cheap, compare the prices of the Shutterstock advertisement (less than $5,000) and the Fyre Festival video they parodied (estimated at over $160,000). The similarities are striking, but the cost is not.